The saxophone player Maria Artemenko hails from St. Petersburg where she was a student with one of the best Russian saxophonist and teachers – Gennady Golstein. She began her musical career in St. Petersburg where she played in both large orchestras and smaller combos and allready at that time, wrote her own music. With her artist name Masha Art she moved to Moscow to take part in this city´s lively jazz life. 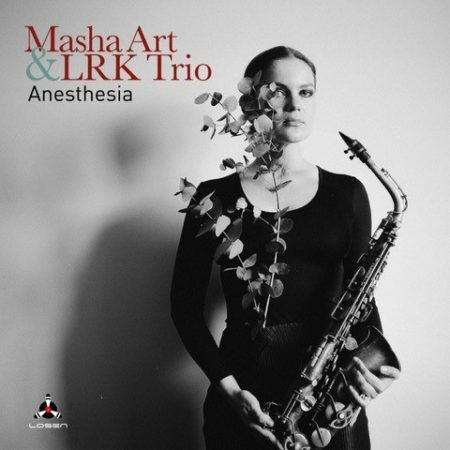 She teamed up with LRK Trio and this is their first recording together playing Masha´s compositions. St. Petersburg is often synonymous with the colours grey and blue due to the weather. This gloomy mood is brought into her compositions with LRK Trio stretching out the music in many directions making this a modern quartet with their own original sound. The harp player Maria Kulakova is playing on 5 tracks adding to the mood like distant raindrops. This is Masha´s third release, with 32 of August released in 2015 and «A Footstep On Melancholia» in 2016, basically available in Russia only. Like the two albums released with LRK Trio on Losen Records, (LOS 186-2 If You Have A Dream – 2017 and LOS 206-2 Urban Dreamer – 2018) again this was recorded at the Ton Studio of The Mosfilm Cinema Concern with sound engineer Andrei Levin. A master that most Russian jazz bands trust in working on their recordings. The mixing and mastering was done by Bosse Savik in his studio south-west in Sweden.